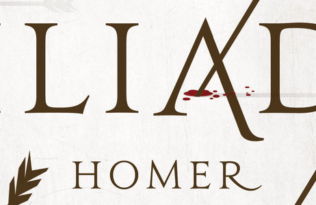 Some of the most important works of world literature are epic poems from antiquity, so what would National Poetry Month be without a little Homer? Just published, this swift and vivid new translation from Peter Green—one of the most prolific scholars of the ancient world—captures The Odyssey in all of its epic glory. 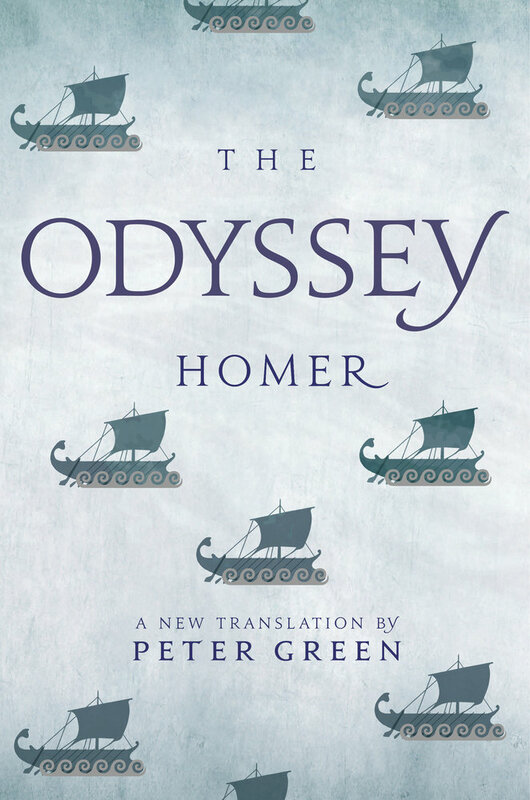 With its lyrical mastery and superb command of Greek, Green’s translation is the ideal way to experience and enjoy Homer’s classic tale with all of the verve and pathos of the original oral tradition. Together with Green’s acclaimed translation of The Iliad, this is a landmark, stunning edition for a new generation of readers. Filial and marital devotion, status-conscious pride and arrogance, ancient long-windedness, obstinacy and recklessness, passion and despair. It is the universalism captured by this extraordinary epic poem, in a very different way from that achieved by the Iliad, that gives it its remarkable staying-power; but the enjoyment it generates comes in great measure from the unexpectedly modern impression it so often achieves. 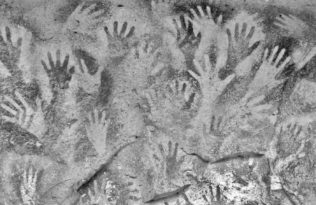 At a distance of nearly three millennia, and despite its preternatural trimmings, this world, and its occupants, present, much of the time, what seems a recognizable familiarity. The problems, mutatis mutandis, are often ours. The reactions are recognizable. The unbridgeable otherness of the ancient world is somehow less of a stumbling-block here than in many later and more sophisticated works that should, on the face of it, be less alien and thus more easily appreciable. And in following the twists of the story we skim blithely over most of those errors and inconsistencies—some of them described above— that so bedevil the translator and commentator. Any person in search of a compelling and enjoyable narrative is amply rewarded by the Odyssey: like Homer’s ancient audience, and the jury of the legal joke, he or she will probably only hear or read it once; and those who return to it, often again and again, will have had their impression of it formed, indelibly—experto credite—by that first unforgettable exposure. One last word. It will be noticed that I have made virtually no attempt to dictate the literary terms in which anyone new to the Odyssey should seek to appreciate it as a poem. This is partly because, just as no two historians can fully agree on the poem’s genesis, so no two critics are in complete concordance when delineating its literary qualities. But first and foremost it is because a lifetime devoted to teaching of one sort or another has shown me that initial impressions are crucial, and that if these are imposed externally, they can never be shaken off. First-time readers of the Odyssey should be allowed to establish their own personal impression of it before listening to the competing chorus of professionals, who are all too ready to shape their opinions for them. My bibliography offers a way in to this noisy marketplace. Take my advice and don’t consult it until you’ve familiarized yourself with the great poem itself, preferably on more than one reading, and have established your own personal attitude to it. You won’t be sorry. If the experience leads you to learn Greek and tackle the original, so much the better. Good luck, and enjoy. There you have it. Survival, heroism, temptation, betrayal, and vengeance. The ingredients for an epic that stands the test of time. Get a true feel for the Homeric language and read Book One for free today. 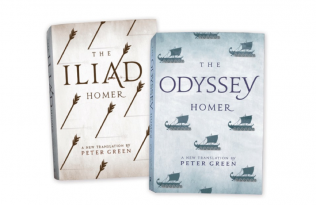 Save 30% on The Odyssey,The Iliad, or both all month long when you enter code 17W1863 at checkout.